You have restored dignity to the game of golf. You have demonstrated through your son’s actions and demeanor that it is in giving that we receive. You have reminded the world that there are givers and there are takers. Be a giver. You have reminded the world that there are many Ellies who need love and need to be understood. 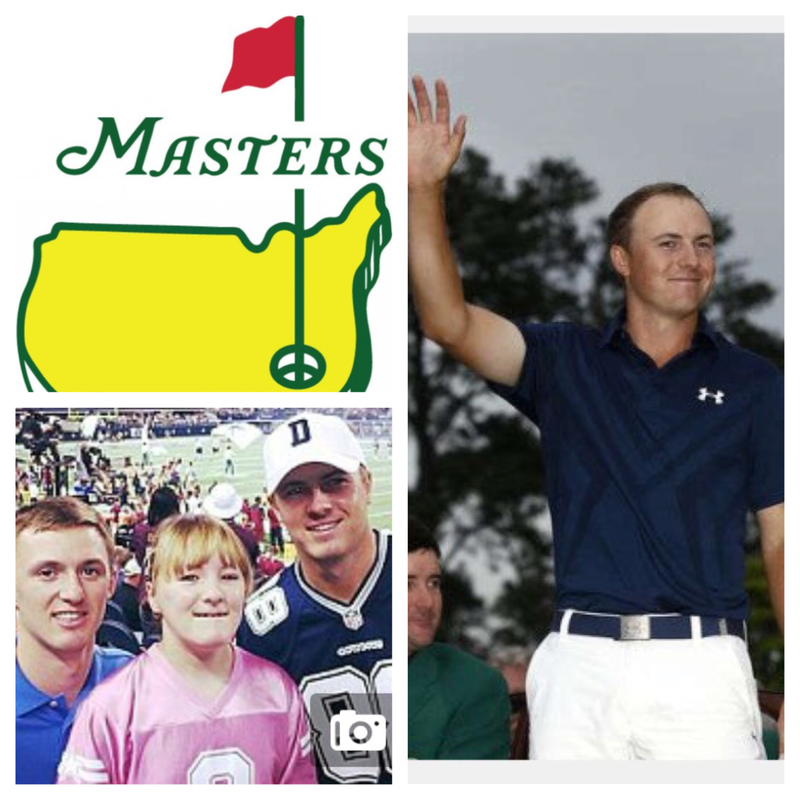 As a mom of five who not only competed in golf in my youth but also currently have sons who compete in the game it is refreshing to see a golfer come along who simply “gets it” – for all the world to see. You are just what the world needs to see in parenting. Monday: at 7:00 p.m. Lecture by NYT best-selling author Ron Lieber on parenting teens. Monday: at 6:30 p.m. Sports banquet (with child). Wednesday: at 7:00 p.m. 7th grade informational Springfield trip meeting (with child). Thursday: Nothing. (Thank goodness: the kids are out snowblowing the neighbors’ driveways!) ….but you get the point. Not included in the above list: regular sports practices and activities, parent work meetings, etc. Said another way: Who will mind my children? How on earth did we get to the point whereby working moms, “stay at home” moms, working dads, “stay at home” dads are asked to be somewhere on school nights at 7:00pm? As if jobs, school, sports, and extra-curricular carpooling are not enough, we are being “asked” or “invited” to evening “opportunities” out of the home. In no way am I suggesting that the 7:00pm meetings and opportunities are not meaningful or important…it’s just that I am scratching my head. Why? Because I am a rule follower and it’s hard for me to not “do the right thing.” When someone tells me that I should come hear a great speaker on successful parenting that the school is sponsoring…or attend an informational meeting on the Springfield trip even though I’ve attended it already for 4 children…well, I should do it. It’s “what you do” as part of being a good and supportive parent; it’s “what you do” to be part of the school community. Shouldn’t we be home? That’s where I should be. So should my husband. He should be home. That’s where I am most valued. That’s where he is most valued. Moreover, although I love my computer, I am sometimes tethered to it simply to pay attention (read: not MISS) the important school to-do’s that now come via computer to the mom’s email. So here’s a start-up idea for someone: grab it. Please create a central repository of Vimeos, (password protected for schools). Every parent in America can stay home on school nights (when not carpooling for sports and extra-curricular events). Yep. Stay home. Cook dinner together. Eat dinner together. Read a book together. Just be together. After the kids are in bed, mom and dad can take out their computer and “go” to the 7:00pm meeting via Vimeo. The “opportunity” of a lifetime.